Dysfunction of lipid metabolism in white adipose tissue can substantially interfere with health and quality of life, for example in obesity and associated metabolic diseases. Therefore, it is important to characterise pathways that regulate lipid handling in adipocytes and determine how they affect metabolic homeostasis. Components of the Janus kinase (JAK)–signal transducer and activator of transcription (STAT) pathway are involved in adipocyte physiology and pathophysiology. However, the exact physiological importance of the STAT family member STAT5 in white adipose tissue is yet to be determined. Here, we aimed to delineate adipocyte STAT5 functions in the context of lipid metabolism in white adipose tissue. We generated an adipocyte specific knockout of Stat5 in mice using the Adipoq-Cre recombinase transgene followed by in vivo and in vitro biochemical and molecular studies. Adipocyte-specific deletion of Stat5 resulted in increased adiposity, while insulin resistance and gluconeogenic capacity was decreased, indicating that glucose metabolism can be improved by interfering with adipose STAT5 function. Basal lipolysis and fasting-induced lipid mobilisation were diminished upon STAT5 deficiency, which coincided with reduced levels of the rate-limiting lipase of triacylglycerol hydrolysis, adipose triglyceride lipase (ATGL, encoded by Pnpla2) and its coactivator comparative gene identification 58 (CGI-58). In a mechanistic analysis, we identified a functional STAT5 response element within the Pnpla2 promoter, indicating that Pnpla2 is transcriptionally regulated by STAT5. Our findings reveal an essential role for STAT5 in maintaining lipid homeostasis in white adipose tissue and provide a rationale for future studies into the potential of STAT5 manipulation to improve outcomes in metabolic diseases. Doris Kaltenecker and Kristina M. Mueller contributed equally to this study. The online version of this article (doi: 10.1007/s00125-016-4152-8) contains peer-reviewed but unedited supplementary material, which is available to authorised users. White adipose tissue (WAT) has crucial functions in maintaining whole body energy homeostasis, and its unique lipid storage capacity helps to prevent ectopic lipid deposition and lipotoxicity [1, 2]. At times of energy surplus, NEFAs are deposited as triacylglycerols (TGs) in adipocytes for storage within cellular lipid droplets. Conversely, when energy becomes scarce, TGs are hydrolysed in a tightly controlled process known as lipolysis [2, 3]. Disrupting the delicate balance between lipid storage and mobilisation results in dysfunctional WAT and abnormalities in systemic lipid partitioning, which form the basis of metabolic diseases, for example in obesity and lipodystrophy [1, 4]. Since the storage and release of lipids are critical determinants of WAT integrity and organismal energy homeostasis, these processes are under tight regulation by the central nervous system as well as by counter-regulatory hormones [1, 2]. While insulin promotes TG storage, catecholamines induce lipolysis through β-adrenergic activation of protein kinase A (PKA). PKA promotes lipolysis by phosphorylating hormone-sensitive lipase (HSL; encoded by Lipe) and indirect activation of adipose triacylglycerol lipase (ATGL; encoded by Pnpla2) by phosphorylating the lipid droplet coating protein perilipin 1. Subsequently, perilipin 1 releases comparative gene identification-58 (CGI-58) from its interaction at the lipid droplet surface, thereby enabling CGI-58 to act as ATGL coactivator . Although the hormonal control of lipase activation is well understood, less is known about how lipid mobilisation is transcriptionally controlled in adipocytes. Transcription factors and associated co-regulators operate in concert to regulate metabolic pathways by modulating target gene expression via integrating endocrine, paracrine and metabolic signals [6, 7, 8]. Components of the Janus kinase (JAK)–signal transducer and activator of transcription (STAT) pathway contribute to adipocyte physiology and the pathophysiology of dysfunctional adipose tissue [9, 10, 11, 12, 13, 14]. STAT5A and STAT5B (collectively referred to as STAT5) are components of the JAK–STAT pathway that are involved in adipocyte development [13, 15, 16]. However, the functions regulated by STAT5 in mature adipocytes and their consequences in vivo are largely unknown. Adipose STAT5 is prominently activated by growth hormone (GH) via JAK2 . GH induces lipolysis in WAT [17, 18]; circulating levels of GH negatively correlate with WAT mass [19, 20] and adipocyte-specific deletion of Jak2 consistently blocks GH-induced lipolysis [14, 21]. GH deficiency or defective GH receptors (GHRs) result in increased adiposity; in line with these findings, GH levels are frequently reduced in common obesity [18, 19]. Although these observations implicate STAT5 in WAT lipid metabolism, the functional importance of adipocyte STAT5 has not been genetically defined, nor have its downstream molecular mechanisms been determined. Here, we investigated the role of STAT5 in WAT lipid homeostasis using an adipocyte-specific gene knockout in mice. To prevent interference with adipogenesis due to STAT5 deficiency, we used the Adipoq–Cre transgenic mice to restrict Stat5 deletion to mature adipocytes . Adipocyte-specific STAT5-deficient mice (Stat5 Adipoq ) were generated by crossing Adipoq–Cre  to Stat5a/b floxed mice . Mice were housed under standardised conditions (12 h dark/12 h light cycle). Unless stated otherwise, experiments used 2-month-old male Stat5 Adipoq mice or Adipoq–Cre negative littermates (controls; C57BL/6 background) fed a standard diet ad libitum. Animal experimentation was approved by the institutional ethics and animal welfare committee and the national authority according to Section 26 of the Animal Experiments Act (Tierversuchsgesetz 2012). Body composition was determined using an EchoMRI-100H system (EchoMRI, Houston, TX, USA). For insulin tolerance tests (ITTs), 0.75 U/kg insulin was i.p. injected into 4 h fasted mice. For OGTTs and pyruvate tolerance tests (PTTs), 1 g/kg glucose was administered via oral gavage or 2 g/kg pyruvate was i.p. injected into overnight fasted mice. The HOMA-IR was calculated from insulin and glucose levels in 4 h fasted mice: (fasting glucose [mmol/l] × fasting insulin [pmol/l]) ÷ 135. Acute β-adrenergic stimulation was performed by i.p. injection of 1 mg/kg CL-316243. Blood was collected 20 min after injection. Formaldehyde-fixed tissues were dehydrated, paraffin-embedded, sliced, stained with haematoxylin and eosin using standard procedures and analysed by light microscopy. Adipocyte sizes were quantified from at least four different fields per mouse using ImageJ (Bethesda, MD, USA). STAT5 staining was performed as previously described . Blood glucose and β-ketones were measured directly from tail vein blood using a glucometer (Abbott, Chicago, IL, USA). All other metabolites were measured with commercial colorimetric assays or ELISA (listed in electronic supplementary material [ESM] Methods, Metabolite measurements). For RNA extraction, the RNeasy Lipid Tissue Mini Kit (Qiagen, Venlo, Netherlands) was used for tissue samples and Trizol (Thermo Fisher Scientific, Waltham, MA, USA) for 3T3-L1 adipocyte samples. RNA was reverse transcribed and cDNA was subjected to quantitative real-time PCR (qPCR) using the CFX96 Real-Time System (BioRad, Hercules, CA, USA). Samples were run in duplicate. Primers are listed in ESM Table 1. Protein extraction and western blots (40 μg protein samples) were performed as previously described ; antibody suppliers are listed in ESM Methods, Western blotting. Lipolysis of WAT explants was measured as previously described . Explants were stimulated with 10 μmol/l isoprenaline or 500 ng/ml GH. Differentiated 3T3-L1 adipocytes were incubated with GH (500 ng/ml) and/or an equimolar concentration of insulin for 6 h. For luciferase reporter assays, transfections were performed with Lipofectamine 2000 (Thermo Fisher Scientific). Cells were lysed in passive lysis buffer and luciferase activities were measured using the Dual Luciferase Reporter Assay system (Promega, Fitchburg, WI, USA). The generation of reporter constructs is described in ESM Methods, Cell culture and adipocyte isolation. Adipocyte isolation was performed using standard procedures and is described in ESM Methods, Cell culture and adipocyte isolation. Electrophoretic mobility shift assay  and chromatin immunoprecipitation (ChIP)  were performed as previously described. Detailed description is available in ESM Methods, Electrophoretic mobility shift assay and chromatin immunoprecipitation. Results are presented as means ± SEM. Two-tailed Student’s t tests and Wilcoxon rank-sum tests were used for comparing two groups and one-way ANOVA followed by Tukey’s honestly significant difference, Dunn’s multiple comparison or Bonferroni post hoc tests were used for comparing multiple groups. Tolerance tests were analysed with repeated measures two-way ANOVA followed by Bonferroni post hoc testing. Levels of statistical significance were set at *p < 0.05, **p < 0.01 and ***p < 0.001. Immunostaining showed STAT5 levels were significantly reduced in epididymal WAT (EWAT), subcutaneous WAT (ScWAT) and interscapular brown adipose tissue (BAT) of Stat5 Adipoq mice, but were unaffected in the liver (ESM Fig. 1a). Western blot analysis confirmed that STAT5 was barely detectable in extracts of isolated white adipocytes and in BAT from Stat5 Adipoq mice (Fig. 1a, ESM Fig. 1b). Eight-week-old male Stat5 Adipoq mice had a greater total fat mass compared with littermate controls, while their lean mass and body weight were unaltered (Fig. 1b). EWAT, BAT, liver and gastrocnemius muscle weight was unchanged, but ScWAT weight was significantly increased (Fig. 1c, ESM Fig. 1c, d). Stat5 Adipoq EWAT contained a higher proportion of large adipocytes (Fig. 1d). Conversely, subcutaneous adipocytes from knockout and control animals were similar in size, suggesting that the higher amount of ScWAT in Stat5 Adipoq mice was due to increased adipocyte numbers. However, levels of the adipocyte differentiation marker proteins peroxisome proliferator-activated receptor γ (PPARγ) and CCAAT/enhancer binding proteins (C/EBP) α and δ in ScWAT were similar between genotypes (ESM Fig. 1e, f). C/EBPα content was increased only in EWAT. In contrast, mRNA levels for genes involved in fatty acid (FA) and TG synthesis, such as acetyl-CoA carboxylase (Acaca), fatty acid synthase (Fasn), PEPCK (Pck1) and diacylglycerol O-acyltransferase 2 (Dgat2), were decreased in both WAT compartments of Stat5 Adipoq mice (Fig. 1e, f). An increase in neither total STAT3 levels nor phosphorylation status was detectable in Stat5 Adipoq WAT, suggesting that a compensatory increase in STAT3 function does not occur in response to adipose STAT5-deficiency (ESM Fig. 1g). In addition, neither typical inflammatory mRNA marker levels in WAT nor plasma IL-6 and TNF-α levels were significantly different between genotypes (ESM Fig. 1h–k). Furthermore, macrophage-related transcripts were not differentially expressed in WAT. Although not significant, plasma leptin concentration was slightly increased, while adiponectin concentration was mildly decreased (ESM Fig. 1l, m). GH levels were similar between genotypes, as were plasma TG and blood β–ketone levels (ESM Fig. 1n–p). Notably, circulating NEFA and glycerol levels were markedly decreased, indicating reduced lipid mobilisation in Stat5 Adipoq mice (Fig. 1g, h). Consistent with this, basal lipolysis (determined by NEFA and glycerol release from WAT explants of fed mice) was reduced upon STAT5 deficiency (Fig. 1i, j). Therefore, our results show that adipose STAT5 deficiency increases body fat mass, which coincides with a decrease in basal lipolysis. Given the interdependence of lipid and glucose metabolism, we next addressed the impact of adipose STAT5 deficiency on systemic glucose homeostasis. Four h fasted Stat5 Adipoq and control mice had similar blood glucose levels, despite Stat5 Adipoq mice having lower insulin levels, consistent with their lower HOMA-IR (Fig. 2a–c). Liver glycogen stores were reduced in Stat5 Adipoq mice (Fig. 2d), suggesting that either glycogenolysis is increased or glycogen synthesis is reduced to maintain normoglycaemia. OGTTs revealed no difference in glucose clearance between Stat5 Adipoq and control littermates (Fig. 2e). However, post-hypoglycaemic recovery in Stat5 Adipoq mice during ITTs was delayed: glucose levels reached only 60% of starting values at the end of the experiment (Fig. 2f). As this observation suggests a reduction in counter-regulatory mechanisms such as hepatic glucose production, we performed PTTs to measure hepatic gluconeogenesis indirectly. In agreement with ITT findings, glucose production from pyruvate was reduced in Stat5 Adipoq mice (Fig. 2g). Interestingly, activating Akt S473 phosphorylation upon insulin injection was similar in liver and WAT lysates from both genotypes (Fig. 2h). As ageing is linked to deterioration in glucose metabolism, we investigated whether STAT5 deficiency also has beneficial metabolic effects at older ages. Similar to young mice, total fat mass and ScWAT mass were increased in 52-week-old Stat5 Adipoq male mice (Fig. 3a; ESM Fig. 2a). Plasma NEFA and glycerol levels remained lower and blood β-ketones were reduced in aged Stat5 Adipoq mice (Fig. 3b–d). Although fasting blood glucose levels were decreased in aged Stat5 Adipoq mice, glucose tolerance was similar between genotypes (Fig. 3e, f). However, the increased insulin sensitivity was preserved in aged Stat5 Adipoq animals, as was their reduced capacity to produce glucose from pyruvate (Fig. 3g, h). Together, these data show that adipose STAT5 deficiency results in decreased insulin resistance scores and reduced gluconeogenic capacity. Our results demonstrated that basal lipolytic capacity was reduced upon STAT5 deficiency. We next determined the lipolytic response to acute β-adrenergic stimulation by treating WAT explants with isoprenaline. NEFA and glycerol levels in media from isoprenaline-stimulated Stat5 Adipoq WAT explants were reduced (Fig. 4a, b, ESM Fig. 3a, b), while the fold induction of isoprenaline-stimulated lipolysis over baseline was increased (Fig. 4c, d). Lipolytic products were also reduced upon GH stimulation of Stat5 Adipoq WAT explants. However, GH-mediated induction of lipolysis was only significantly decreased in STAT5-deficient ScWAT explants (Fig. 4a–d). To determine the responses to acute β-adrenergic stimulation in vivo, we treated mice with CL-316243 (a β3-adrenergic agonist). Although the fold induction of lipolysis was similar among genotypes, Stat5 Adipoq mice displayed a ∼25% decrease in plasma glycerol and NEFA levels upon CL-316243 treatment (Fig. 4e, f, ESM Fig. 3c). These findings indicate that β-adrenergic responsiveness in Stat5 Adipoq mice is intact, although the resulting induction rate is not sufficient to restore circulating lipolytic products to control levels. Given the inability of Stat5 Adipoq mice to compensate for defective basal release of lipolytic products upon acute β-adrenergic stimulation, we determined their ability to respond to a situation that requires lipolysis by subjecting them to a 48 h fast. There was no difference in overall body weight loss between fasted Stat5 Adipoq and control mice (ESM Fig. 4a). However, Stat5 Adipoq mice lost less fat mass and more lean mass during this intervention (Fig. 5a, b, ESM Fig. 4b, c). Accordingly, loss of WAT mass was decreased and loss of liver mass was increased in fasted Stat5 Adipoq mice, while no changes were observed in gastrocnemius muscle and BAT weight (Fig. 5c–e, ESM Fig. 4d–h). Their inefficient lipid mobilisation was further supported by WAT histological analysis (Fig. 5f): control adipocytes displayed drastic cell shrinkage upon fasting compared with the fed state, whereas STAT5-deficient adipocytes were almost unaffected by fasting. Plasma NEFA and glycerol concentrations remained lower in 48 h fasted Stat5 Adipoq mice compared with controls and fasting-associated lipid accumulation was reduced within Stat5 Adipoq livers (Fig. 5g–i, ESM Fig 4i). Plasma TG levels were elevated and GH levels showed a slight but non-significant increase in fasted Stat5 Adipoq mice (Fig. 5j, k). Despite the reduction in lipolytic products as substrates for energy production, fasting blood glucose and β-ketone levels were similar among genotypes (Fig. 5l, m), suggesting that catabolism of non-adipose tissue in Stat5 Adipoq mice (i.e. the liver) might compensate for missing substrates that are usually provided by WAT lipid mobilisation. Taken together, our results suggest that adipose STAT5 is required not only for basal lipolysis but also for efficient lipid mobilisation under 48 h fasting conditions. To gain insight into the molecular changes underlying the lipolytic defect of fed and 48 h fasted Stat5 Adipoq mice, we measured the mRNA levels for key lipolytic genes in EWAT. No changes were detected in fed or fasting Lipe (encoding HSL), Mgll (encoding monoacylglycerol lipase) and Plin1 (encoding perilipin 1) mRNA levels in STAT5-deficient compared with control EWAT. In contrast, mRNA levels of Pnpla2 (encoding ATGL) and its coactivator Abhd5 (encoding CGI-58) were diminished in the fed state (Fig. 6a–c, ESM Fig. 5a, b). Although fasting significantly increased Pnpla2 and Abhd5 expression in both genotypes, levels in Stat5 Adipoq mice remained significantly lower, indicating that the baseline defect cannot be efficiently compensated for by fasting. Notably, ATGL and CGI-58 protein levels were decreased in EWAT from fed and fasted Stat5 Adipoq mice, whereas phosphorylation status and total levels of HSL as well as PKA activity were similar between the genotypes (Fig. 6d, e). Interestingly, perilipin 1 levels in the fed state were reduced, which might be a compensatory mechanism to facilitate access of lipases to the lipid droplet TG moiety. These results suggest that β-adrenergic signalling is not impaired in Stat5 Adipoq mice and indicate that inefficient lipid mobilisation is probably due to reduced levels of ATGL and CGI-58. We next performed a series of experiments to investigate the mechanisms by which STAT5 controls ATGL and CGI-58 levels. Consistent with our in vivo findings, Pnpla2 and Abhd5 mRNA levels in STAT5-deficient explants were reduced, while Lipe expression was unchanged (Fig. 7a, ESM Fig. 6a, b). After GH stimulation for 2 h, Pnpla2 mRNA was upregulated in control explants, suggesting transcriptional activation of the Pnpla2 gene. Consistent with this observation, GH stimulation of 3T3-L1 adipocytes significantly upregulated Pnpla2 and restored insulin-mediated downregulation of Pnpla2 to basal levels (, Fig. 7b, ESM Fig. 6c). Moreover, this treatment was sufficient to stimulate Abhd5 upregulation in 3T3-L1 adipocytes (Fig. 7b). Consequently, we investigated whether STAT5 transcriptionally regulates Pnpla2 and Abhd5. We identified a functional Stat5 response element (RE) within the Pnpla2 promoter region (−1428 to −1419 bp) and the Abhd5 promoter region (−1389 to −1380 bp) by electrophoretic mobility shift assay (Fig. 7c, d). To confirm that STAT5 associates with the identified chromatin regions, we performed ChIP in EWAT extracts. Enriched binding of GH-activated STAT5 was observed on the Pnpla2 promoter and, to a lesser extent, on the Abhd5 promoter (Fig. 7e). To validate the functionality of the identified REs, we performed reporter assays in NIH3T3 cells in which luciferase gene expression was regulated by either a 146 bp fragment of the Pnpla2 promoter (Pnpla2-luc) or a 138 bp fragment of the Abhd5 promoter (Abhd5-luc) containing the respective Stat5 RE. For Abhd5-luc, reporter gene activity was not induced above empty vector levels (ESM Fig. 6d); however, Pnpla2-luc had significantly elevated luciferase activity, which was further increased by GH stimulation (Fig. 7f). Mutation of the Stat5 RE within the Pnpla2 promoter fragment (Pnpla2-mutS5RE-luc) decreased luciferase gene expression to empty vector levels. In line with this, Pnpla2-luc reporter activity was abolished in Stat5-null mouse embryonic fibroblasts and restored by Stat5a co-expression (ESM Fig. 6e). These data provide mechanistic evidence that STAT5 is a transcriptional regulator of the Pnpla2 gene in WAT. We report a previously unanticipated requirement for STAT5 in maintaining lipid homeostasis in WAT. Basal lipolysis and fasting-induced lipid mobilisation were diminished by STAT5 deficiency, which was associated with decreased ATGL and CGI-58 levels. We provide further evidence that Pnpla2 is transcriptionally regulated by STAT5 in WAT. Despite increased adiposity, a lack of STAT5 in adipocytes promoted improved insulin sensitivity and reduced gluconeogenic capacity in mice. STAT5 deficiency differentially affected the two main WAT compartments: ScWAT mass was substantially increased despite unaltered adipocyte size, while EWAT mass was unchanged although characterised by adipocyte hypertrophy. Preferential enlargement of ScWAT has been noted upon adipocyte-specific deletion of Jak2 using Adipoq–Cre  and in adipose Ghr deleted male mice using aP2-Cre , which may reflect different responses to GH in the respective WAT compartments . Interestingly, adipose Jak2 deletion using aP2-Cre resulted in significant enlargement of all fat depots, although ScWAT showed the greatest increase . This difference may be attributable to the age, genetic background or Cre-promoter usage. A characteristic feature of both STAT5-deficient WAT compartments was a reduced capacity for basal lipolysis accompanied by decreased mRNA levels for genes involved in FA and TG synthesis (i.e. Acaca, Fasn, Pck1 and Dgat2). Interestingly, chronic stimulation of lipolysis was shown to coincide with an upregulation of genes involved in FA and TG synthesis , while blockage of lipolysis in chow- and HFD-fed mice resulted in downregulation of these genes [32, 33]. These studies established possible interdependence between lipid mobilisation and synthesis in adipocytes and may explain the reduced expression of lipid storage related genes in STAT5-deficient WAT. Our results indicate that β-adrenergic responsiveness in Stat5 Adipoq mice is intact, although the lipolysis induction rate was not sufficient to compensate for the defective basal release of lipolytic products upon acute β-adrenergic stimulation. Similarly, the basal defect was not efficiently compensated for by fasting and thus contributed to aberrant fasting responses. On the molecular level, neither the levels nor activation status of HSL or PKA activity were altered in WAT Stat5 Adipoq mice. This finding supports the observation that impaired lipid mobilisation in Stat5 Adipoq mice is not due to defective β-adrenergic signalling and argues against STAT5-dependent regulation of HSL levels in WAT. Adipose STAT5 deficiency resulted in reduced ATGL and CGI-58 levels, thereby impacting the lipolytic machinery at other crucial nodes. In contrast to post-translational regulation of ATGL activity by CGI-58 and G0S2 [3, 34], little is known about the direct transcriptional regulators of Pnpla2: feeding and insulin both repress Pnpla2 expression via the FoxO1 transcription factor, whereas fasting and PPARγ agonists elevate Pnpla2 mRNA levels [2, 3, 28, 35]. Our study extends this knowledge by providing several lines of evidence supporting Pnpla2 regulation by adipose STAT5: (1) Pnpla2 expression is significantly increased by GH only in control WAT explants; (2) STAT5 is enriched at the Pnpla2 promoter in WAT; and (3) a Pnpla2 promoter fragment containing the Stat5 RE activates a reporter gene. The presence of defects in basal lipolysis in Stat5 Adipoq mice raises the possibility that STAT5 is implicated in balancing lipid metabolism in WAT. This effect may involve pulsatile GH secretion and/or its counter-regulatory effects on insulin function  to maintain baseline levels of ATGL and lipid turnover. In support of this notion, GH treatment of 3T3-L1 adipocytes restored insulin-mediated downregulation of Pnpla2 to basal levels. At this point, we cannot exclude the possibility that additional mechanisms contribute, directly or indirectly, to impaired lipolysis in Stat5 Adipoq mice. Given that ATGL activity requires CGI-58 , it is conceivable that defective lipolysis results from the simultaneous decrease in the levels of both proteins. However, as we could not show that the Abhd5 promoter fragment has transactivation potential in reporter assays, further studies are needed to precisely define the underlying molecular mechanism. STAT5 deficiency in WAT improved variables of glucose metabolism. 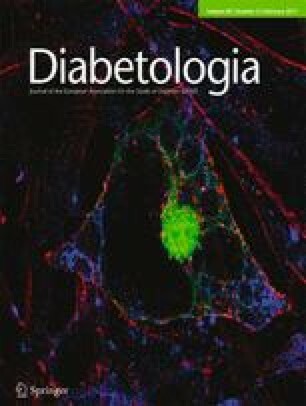 Adipose tissue has a central role in glucose homeostasis and the lipolytic capacity of WAT negatively correlates with insulin sensitivity [1, 2, 32, 33]. Consistent with this, Stat5 Adipoq mice displayed reduced insulin resistance scores and improved insulin sensitivity in ITTs. These results contrast with those of adipocyte Jak2 deletion, which does not alter glucose metabolism in young mice but leads to insulin resistance accompanied by increased circulating NEFA in aged animals . Despite the ability of Stat5 Adipoq mice to maintain euglycaemia during fasting periods, their gluconeogenic capacity in tolerance tests was reduced (i.e. post-hypoglycaemic recovery, gluconeogenesis from pyruvate). It is worth considering that glucose production can be limited by WAT-derived substrate fluxes as glycerol is a direct gluconeogenic substrate, while NEFA oxidation indirectly activates gluconeogenesis via allosteric effectors [36, 37, 38]. Hence, diminished NEFA and glycerol availability as well as the depletion of liver glycogen may contribute to the reduced glucose production of Stat5 Adipoq mice. Collectively, our results identify STAT5 as a pivotal regulator of basal lipolysis that is needed for WAT to respond efficiently to altered energy demands. Moreover, our data indicate that glucose metabolism can be improved by interfering with adipose STAT5. Thus, our study not only extends the current understanding of WAT physiology but also provides a rationale for future studies into the potential of STAT5 manipulation to improve outcomes in metabolic diseases. We thank S. Zahma (Institute of Animal Breeding and Genetics, University of Veterinary Medicine, Vienna, Austria) for her excellent technical support. This study was supported by grants SFB F28 (F2807-B20) and SFB F47 (SFB F4707-B20) from the Austrian Science Fund and a private research donation from Liechtenstein awarded to RM. KMM conceptually designed the study. KMM and DK designed the experiments, with contributions from GH and MSchw; KMM and RM supervised the study; DK performed most of the experiments, with contributions from KMM, LK, MSchl, MT, PB and UF; DK performed most of the data analyses, with contributions from LK, MSchl, MT, PB and UF; DK, KMM and RM interpreted the data; DK and KMM wrote the manuscript; LK, MSchl, MT, PB and UF edited the manuscript; GH and MSchw provided intellectual input; and GH, MSchw and RM critically revised the manuscript. All authors approved the final version of the manuscript. RM is responsible for the integrity of the work as a whole.